After alot of research with Better Body Shop we have found that 42mm nylon is the best material for Battle of the Ropes. A 20 meter length is perfect for improving strength and conditioning. We create a soft eye splice at both ends of the rope and whip with black nylon to 'soak up the sweat'. A natural rope hook can be added in the centre so that the rope can be attached to a bracket for the ropes. 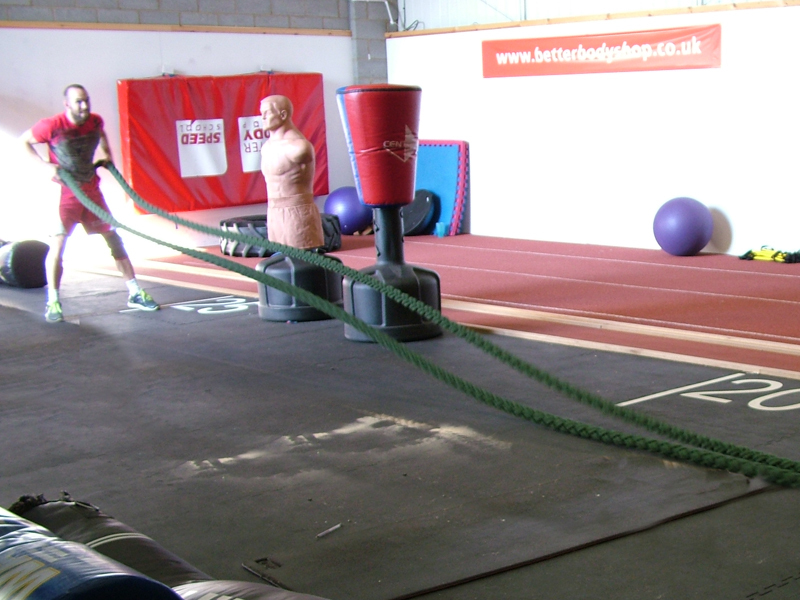 We can supply you with any length of rope, so whether your a personal trainer and carrying the rope around in the boot of your car or a small gymnasium you can still use Master Ropemakers Battle of the Ropes!